We started with a blank slate in project pears' basement. After a flood, everything had to be replaced. I'm not usually a big fan of an accent wall but I was able to get behind an 'accent nook' in Benjamin Moore's Old Navy 2063-10, paired with cream broadloom. 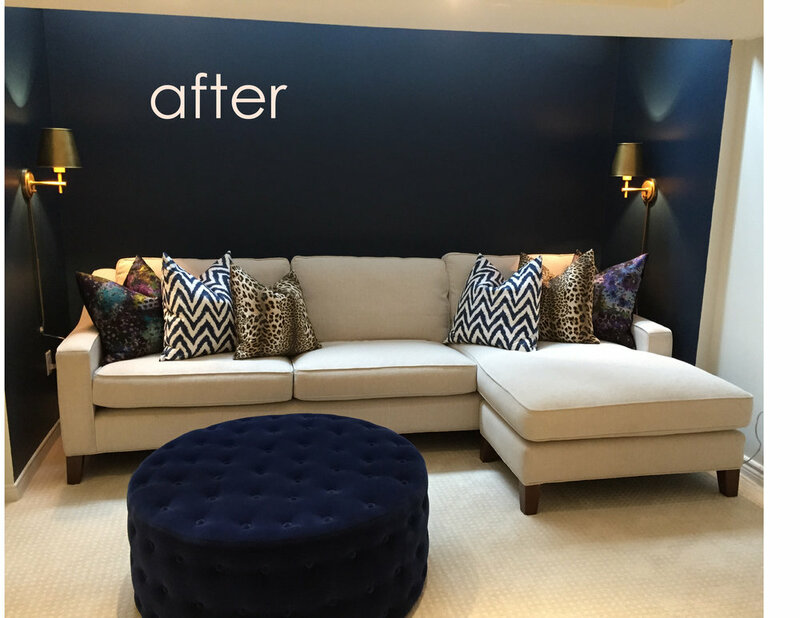 Gold Sconces from Universal Lamp, a neutral sofa from Elte, custom made tufted ottoman in navy velvet and a mix of fabrics including the jumping off point for the colour scheme - Designers Guild Palasini-Cobalt from primavera.